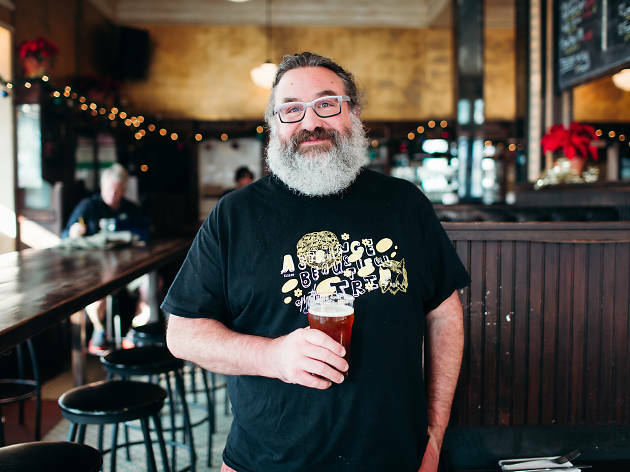 If you love San Francisco's craft beer culture, you have Dave McLean to thank. 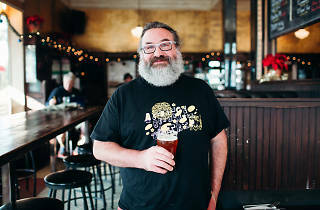 The iconic brewmaster opened Magnolia Pub and Brewery in 1997, way before the craft beer boom (he eventually sold the company in 2017), and is now involved in pretty much every beer event his city has to offer. We sat down with the beer man to discuss Beer Week, his new malting business and the Grateful Dead (of course). How did you first get into beer? We were drinking a lot of cheap, pretty bad beer in college, and I started to wonder what else was out there. Something new and cool was happening with small, local breweries. This was all reinforced in parking lots [during Grateful Dead tailgates], where these indie beers had a lot of cred, not just for their taste but also for being small-batch and different. Why did you open Magnolia Pub & Brewery in the Haight-Ashbury neighborhood? I moved to SF to see more [Grateful] Dead shows and live in the Haight. I had been looking for a site all over town. The spot I chose was small and quirky (how to fit a brewery in that basement? ), and it was just six blocks from my apartment. What do you have planned for Beer Week? This is the 10th anniversary of SF Beer Week, and we’ll bring back our two classic events at Magnolia Pub: the Oyster and Beer Extravaganza on February 13 and the Festival of Firkins on February 15. Admiral Maltings is working on some pretty fun events too. Tell us more about Admiral Maltings. I’ve always been fascinated with malt, and an amazing opportunity came along to get involved in making malt with my two partners, Ron Silberstein and Curtis Davenport. It’s hard to believe, but we’re the first new barley-malting company in California since Prohibition. We’re excited to connect local farmers with local brewers. What are your favorite places to eat and drink in your 'hood? After years of living in the Haight and Cole Valley, I've been settling into the Excelsior District for the past couple of years. The best part of getting to know a new neighborhood is all of the new eating and drinking to be done. I love Dark Horse Inn (942 Geneva Ave) and have been going there since before I moved to the 'hood. But now it's just six blocks from my house. Sean and Andrea run a great, neighborhood spot and always have an interesting beer list. Just up the road is Broken Record (1166 Geneva Ave)—I'm not sure a whiskey list that extensive should be that close to my house.